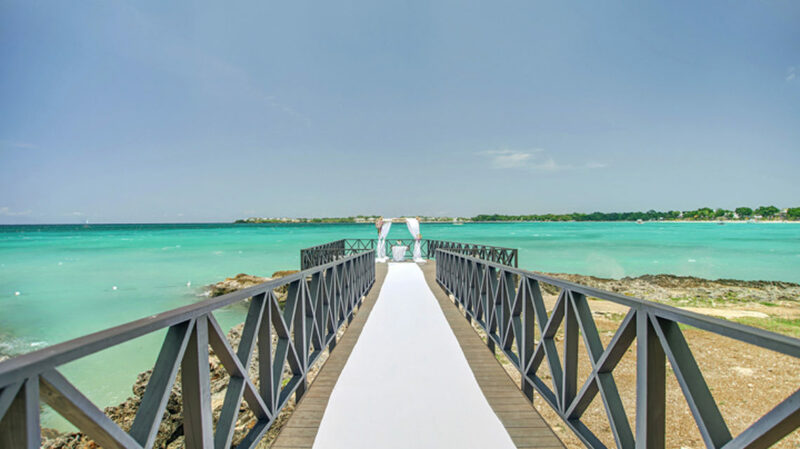 Located along the most western coast of Jamaica, a Royalton Negril wedding takes advantage of a breathtaking beach with crystal clear waters, a setting that will make any ceremony a memorable experience. The laid-back Jamaican culture blends seamlessly with the floral surroundings with beach access to azure waters both North and South, making a true destination wedding. 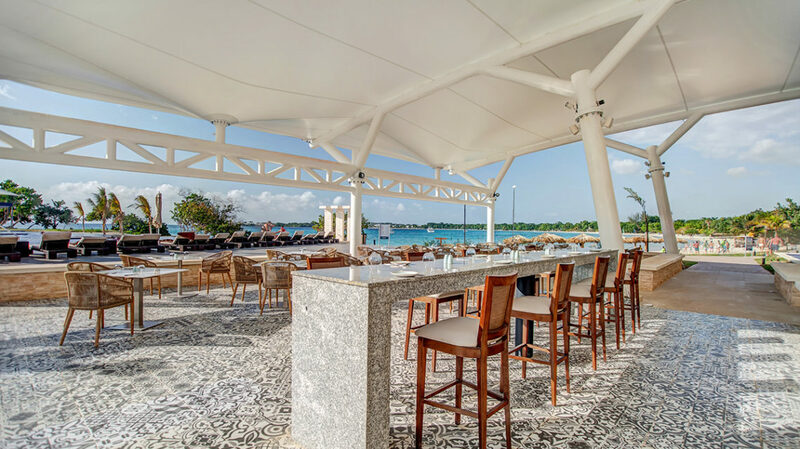 Royalton Negril offers a nice variety of unique venue options for wedding ceremonies, including a pier and oceanfront terrace. If wedding guests choose to leave the resort there are some walkable activities nearby such as a local water park and Booby Cay island. Travel time can be upwards of 90 minutes, take this into consideration when planning travel time for you and your wedding party. $175 – $320 average price based on per person per night. 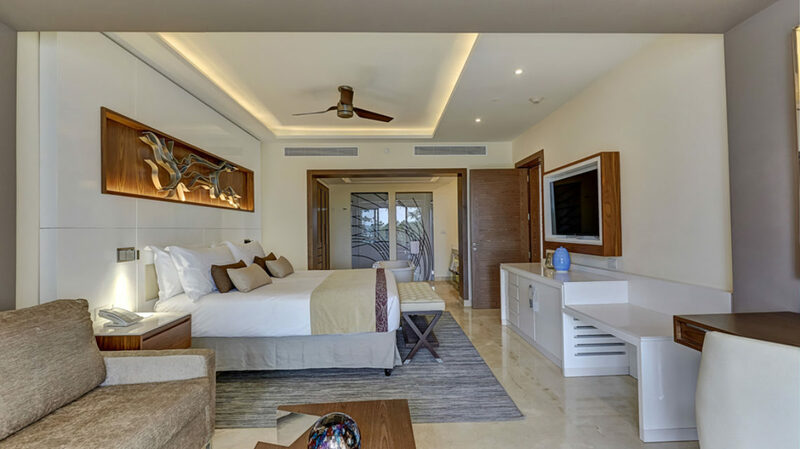 Rooms include rain showers and exclusively designed DreamBed brand mattresses. Diamond Club upgrade costs approximately $50 per person per night, which includes exclusive beach area and pool. Children 2 and younger are free. There are 407 rooms with resort or ocean views. 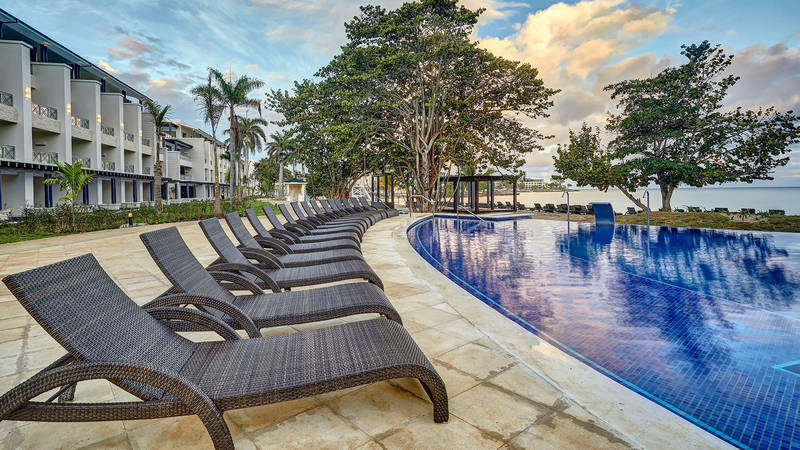 Due to the sprawling nature of the property Royalton Negril is recommended for more active guests. Beach – 150 guests max, Ocean Point Gazebo – 130 guests max, Sky Terrace – 80 guests max, Ocean Pier 2 – 30 guests max, Ocean Pier 1 – 10 guests max. This hotel allows a maximum of 4 adults per room or 2 adults and 2 children ages 17 and under. On average 2 weddings occur per day; with daily time slots at 12pm, 3pm, and 6pm. The hotel can be flexible if different times are desired. The resort is located 45 miles from the MBJ airport. Q: How long have you been a wedding coordinator? Q: How many weddings have you coordinated? A: Approximately 750 across our resort brand. Q: What makes your resort a great place for a wedding? 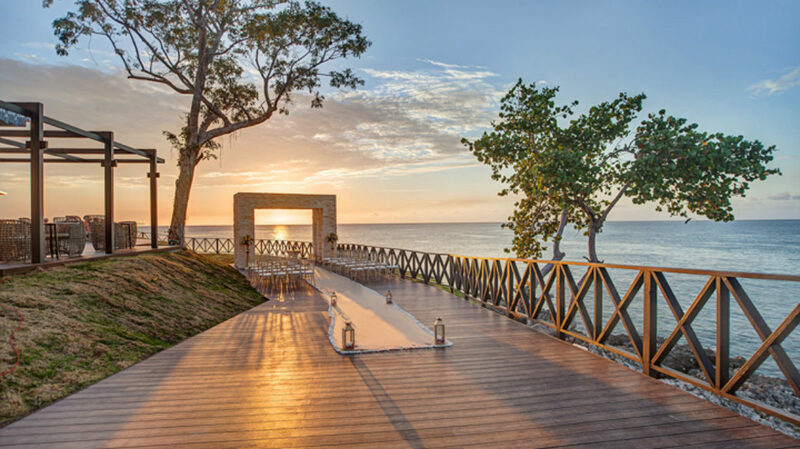 A: The property sits on a spectacular piece of land with large & stunningly aged trees, several different pockets of beach area to choose from and it offers unique & breathtaking wedding locations. 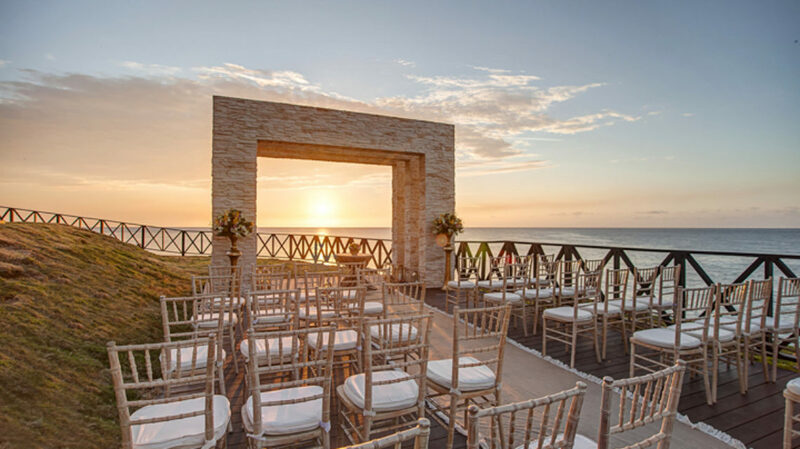 A: While having many unforgettable ceremony and reception locations, at Royalton Negril we only host up to 3 weddings per day therefore the availability for wedding days/times can be limited, especially if you are looking to host a later ceremony such as 5pm! Q: What compliments do brides typically give about the resort? A: Great assortment of restaurant/food options, clean and modern rooms, lively entertainment staff & activities, friendly & approachable wedding team and hotel staff! A: There is nothing better than having a beautiful beach as a backdrop for when you walk down the aisle. With a destination wedding, your guests are having an experience that they will never forget! As for the couple’s wedding dream, not as much décor is required, you already have your honeymoon AND the guest list is often smaller – which means cost savings! A: Budgets are always a concern with weddings and being the experts in planning, we are always able to suggest and recommend different options in order to save on costs and remain within a budget for all of our special couples! There’s been countless times where we have saved the day by working with our couples to stay within certain wedding budgets and making their dream wedding come true!